The Hare mask would like to be known for his athletic prowess. As a small bunny, Hare often dreamed of having his face emblazoned on the front of a Wheaties cereal box, with a gold medal worn around his neck and his paw triumphantly thrust in the air. Much to his dismay, Hare is mostly known for his ill-timed naps. 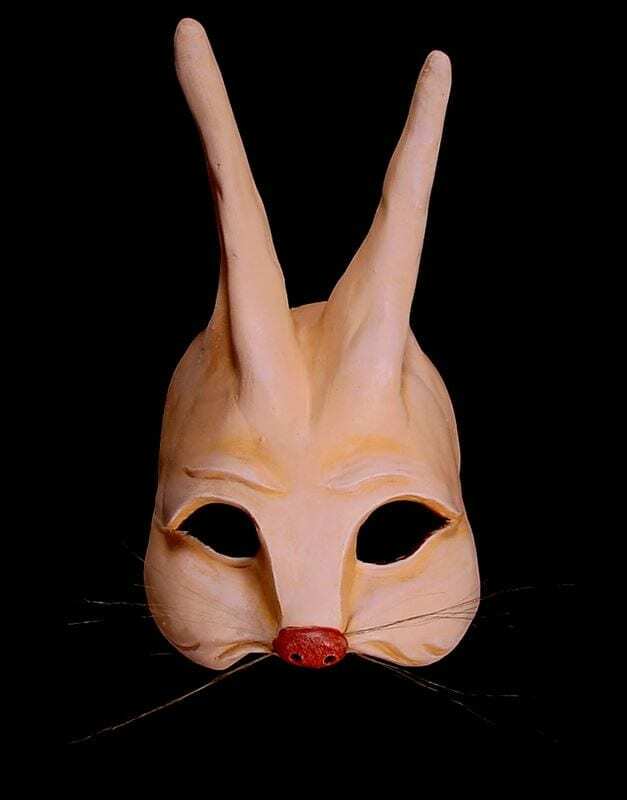 The Hare is a half mask and made of rigid latex. The mask is durable and excellent as a mask for schools, professional use or just display. It is padded at the back and held to the head with an adjustable strap.